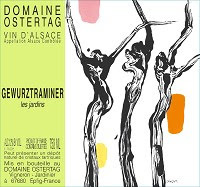 1966 was the year that Irma and Adolphe Ostertag first bottled their estate grown wines. The couple owned a little over seven acres at the time. 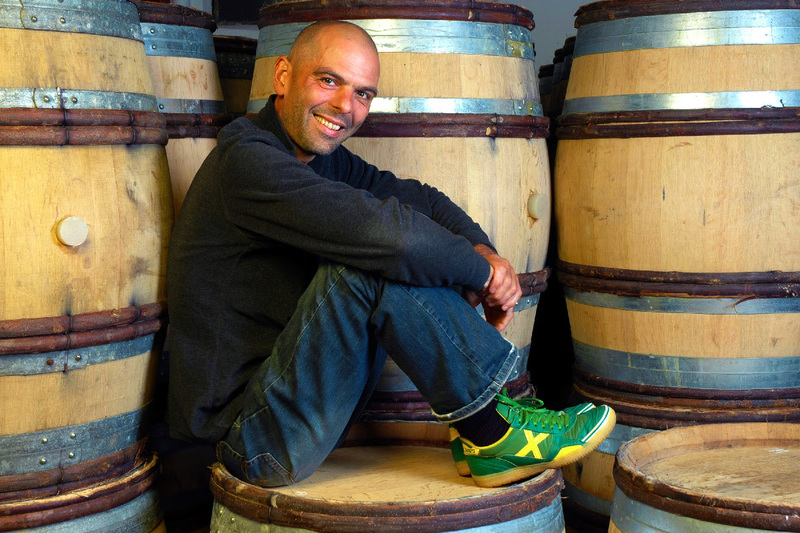 After further developing his winemaking background in Burgundy, it is André Ostertag, representing the second generation, at the helm today. Although the domaine has expanded to 37 acres over time very little has changed in the approach to viticulture as the family has always tended the vines with the goal to make wines that were expressive of the region. For the past two decades he has been cultivating the vines using biodynamic production methods. He does all vineyard work and harvesting by hand and uses no chemical fertilizers, herbicides, pesticides, or fungicides. Indigenous yeasts induce a long fermentation that continues until the wines are fully dry (with the exception of the Gewurztraminer). 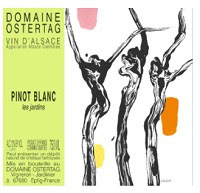 While Domaine Ostertag makes some Alsace’s most ambitious wines capable of developing for decades, we are focusing on his series of “The Gardens” wines labeled as “Les Jardins.” These are wines made from fruit that is gathered from parcels of a single grape variety that are located outside of the Lieu-dit or Grand Cru vineyards. If these parcels were isolated, they would makes wines that have a less interesting potential than what they each bring to the whole blend. These blended-parcel wines express the personality of the fruit and the diversity of The Gardens. 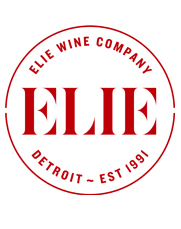 The wines are aged six to nine months before release and are meant to be consumed within five years of release. 100% Pinot Noir collected from three Gardens of vines. Each of the parcels are located in Epfig on the crown of the plateau and the vines are planted in two soil types: sandstone as well as clay and sandstone. André is one of a handful of Alsatian growers realizing the potential for Pinot Noir in the region and this is a wine with a vibe all its own. 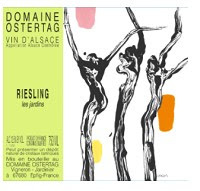 Dry and sunny summers give the wine a fruit density while Alsace’s cooler, continental climate is revealed by a juicy acidity. Bright cherry fruit and herbal, woodsy earth tones shine through a silky coat. It is simultaneously unique and varietally correct. Pair it with the Alsatian version of pizza: Tarte flambée. From a total of 10 Gardens in the villages of Epfig and Nothalten with vines an average of 55 years old. The parcels consist of five different soil types: sandstone, clay and sandstone, marl and clay, granite, and alluvium. 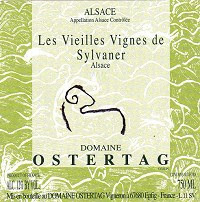 The deeply established root systems of the vines helps create depth and a surprisingly rich mineral structure for the Sylvaner variety. From a total of six Gardens of vines in Epfig, including the Fronholz vineyard. The parcels consist of two different soil types: clay and silt, and marl and sandstone. This is a bone dry Pinot Blanc, with a thirst-quenching salty tang that would pair nicely with mild sashimi. From a total of 13 Gardens of vines in Epfig, Itterswiller, and Nothalten. The parcels consist of three different soil types: sand and sandstone, clay and sandstone, and sandstone and volcanic. A transparent, crystalline wine with plenty of balance to go along with its purity and focus. The medium-bodied citrus and spice character makes it a versatile wine capable of pairing with a vast range of foods up to the fattiest of red meats. From a total of six Gardens of vines in Epfig. The parcels consist of two different soil types: clay and sandstone, and marl and clay. An opulent and textural wine with a bit of residual sugar to enhance the tropical flavors and aromatics of lychee and rose water. Pair a bottle with spicy Pad Thai.